Disclosure: I was given a copy of the Bible in exchange for my honest review. Although I'm a woman, I was excited to receive and share this new Bible with my husband. He's not really found a study Bible that he has really liked. 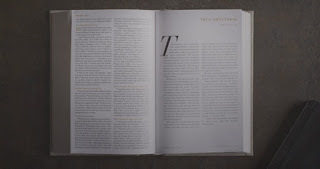 There were several things about the ESV Men's Devotional Bible that he really liked. He thought the introductions to the books of the Bible were well-written for men. The introductions were insightful to him. He also liked the articles found throughout. 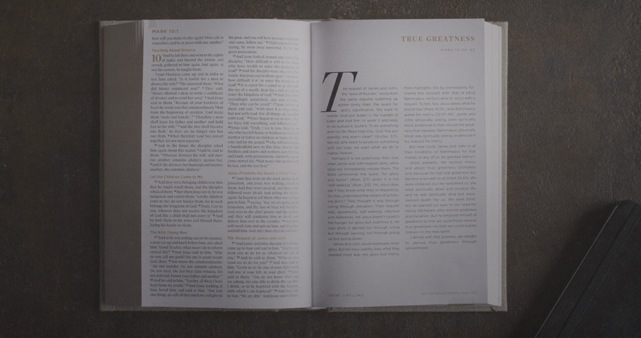 They are written by well-respected men of faith and address topics that matter to men today. The ESV (English Standard Version) was new to us. It's a literal translation. There were parts that we really liked because it made so much more sense than other translations. At other times, it wasn't our favorite version because it wasn't the 'familiar' words. There are pluses and minuses to every version so it didn't detract from the overall enjoyment. I think Sean looks forward to using this for years to come. It's well constructed and should hold together for a long time. 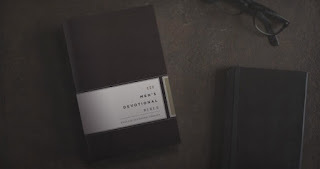 Would you like to win a copy of the ESV Men's Devotional Bible? Enter below for your chance to receive a copy. Open to residents of the US and Canada. Only one entrant per mailing address, per giveaway. If you have won a prize from our sponsor Propeller / FlyBy Promotions in the last 30 days, you are not eligible to win. If you have won the same prize on another blog, you are not eligible to win it again. Winner is subject to eligibility verification.